Talking about initiatives worth following, I would add the Light Recicla program to the list. 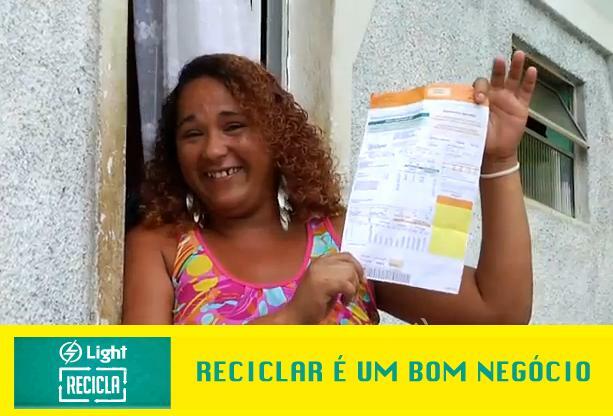 In this program, a provider of electricity in Rio de Janeiro – called Light – gives discounts on the electricity bill in exchange for recyclable materials. Light Recicla has been piloted in a selected number of neighborhoods in Rio de Janeiro – mostly favelas that have gone through the UPP process (Pacifying Police Units). The electricity provider has organized a series of collection points (called Eco Puntos) where residents can bring their recyclable materials, get them weighted and allocate the equivalent discount to their electricity bill. For the moment only residents from a selected number of neighborhoods can benefit from bill discounts but ALL residents in Rio de Janeiro can bring their recyclable materials and allocate the discount to a number of social institutions registered in the project (talking about co-benefits). This program aims to improve the environmental conditions of beneficiary neighborhoods and the affordability of electricity for low-income households (many of which were recently converted to legal electricity). It would be interesting to do some research on the economic viability of this kind of model and its measurable results (i.e. increase bill collection rate, in other contexts: reduced flooding?). I also wonder how people reallocate the money they “save” from recycling. Could this be a new way of Conditional Trash Transfer?